Wow it's been awhile since I have created, as I have been preparing my family home for sale, it's an emotional time as our first open inspection was held this afternoon. 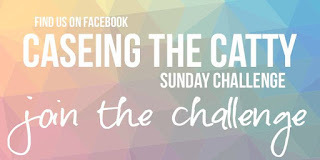 You may be starting here so welcome to this weeks blog hop or you could have come from Rebecca Scurr. 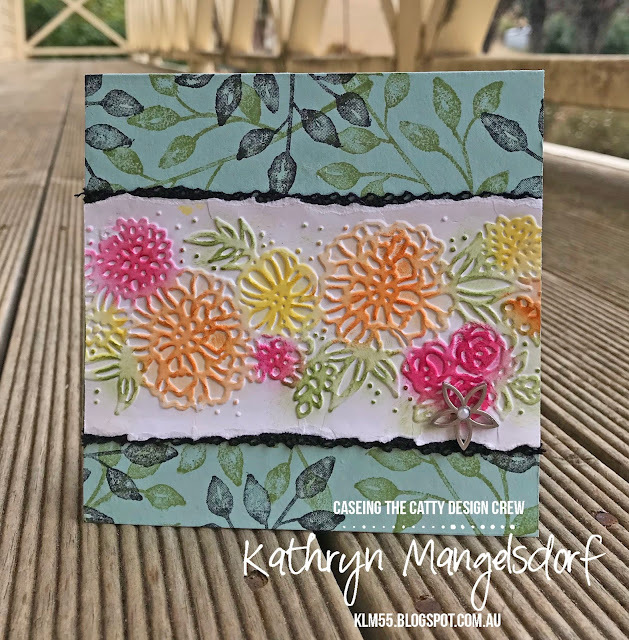 Well back to my card, I had a card class last week and the centre to my card this week was my practice for the finished card we made since it turned out well I thought I would turn it into a card for this week's CASEing the Catty. I put a strip of Whisper White cardstock through the Big Shot Die-Cutting Machine with the the Petal Pair Embossing Folder and then used the sponge daubers in Melon Mambo, Daffodil Delight and Pumpkin Pie to colour in the raised flowers and then with the leftover leaves I used Pear Pizzazz. I then ripped the edges of the centrepiece and then used some black lace on the edges to make it pop off the background and oh I love that oh so cut, Petal Passion Embellishment to finish it off. I decided that I wanted to feature the flowers so I did not include a sentiment on my card so I can use it for any occasion. Close up of the beautiful colours of the flowers. Thanks for stopping by, it's time to hop to Julia Quinn to see what they have created this week. 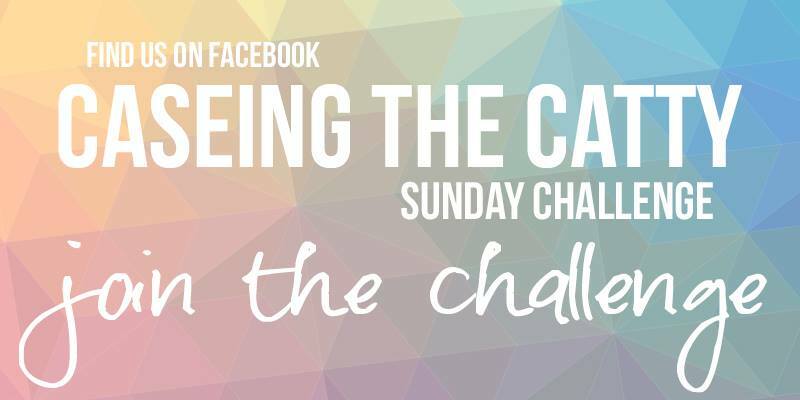 Are you inspired by the CASEing the Catty Crew why not participate int eh CASEing the Catty Sunday Challenge by uploading a project to Facebook. Welcome back Kathryn, with such a lovely card. Very pretty background, and the panel coloured looks lovely. Love your sponged flowers! 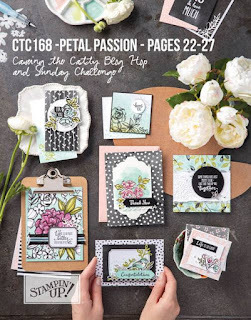 Very clever way to showcase the embossing folder! Love everything about your card. I know selling your home is hectic and I bet you didn't know you had so much "STUFF". Good luck. Great card to CASE Kathryn, I love your version. Good luck with your house, I've just been through the same thing so I know how emotional this can be. Beautiful card Kathryn. I love how you've coloured the embossed flowers. All the best with the house! 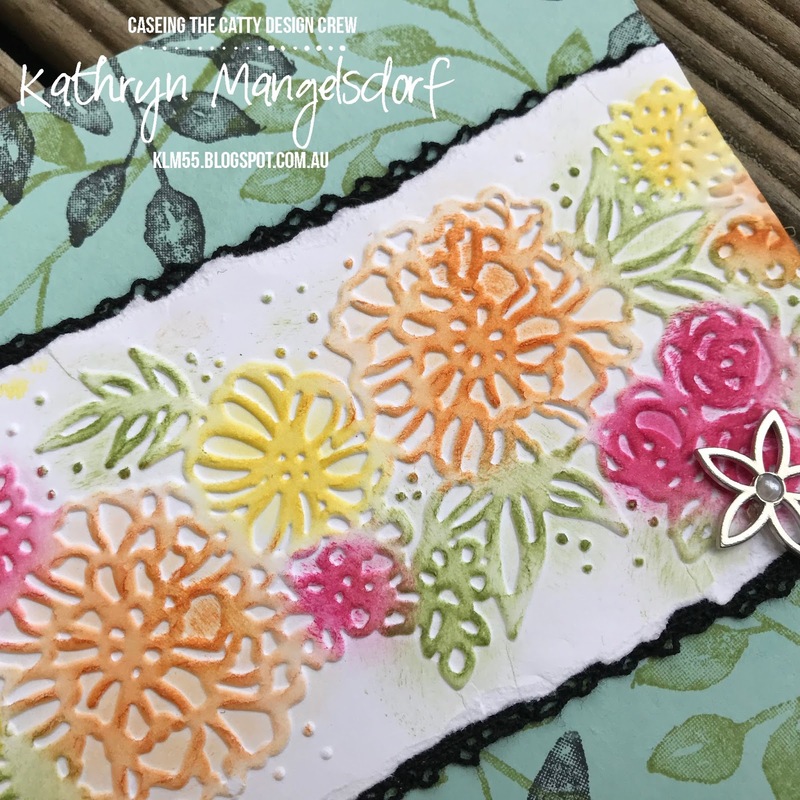 I love your version of the card Kathryn, the extra colour on the embossed image is so pretty, as is that little flower embellishment. Good luck with your house sale Kathryn. The flowers are so pretty done this way - I can see why it was successful for your class!! 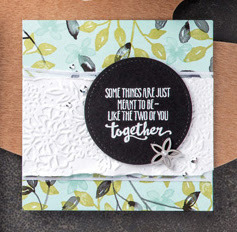 Love the sponging on the embossed piece. Looks great! !